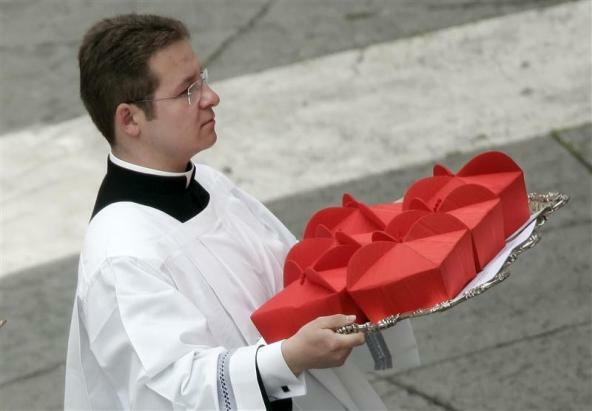 Some segments of the Catholic world are very excited about the Pope’s 12th Day of Christmas gift to 22 bishops and priests: being created a cardinal of the Holy Roman Church. The US gets two new cardinals with Archbishops O’Brien and Dolan receiving the papal nod. An interesting and unique anniversary is being observed by a member of the College of Cardainls: Ján Chryzostom Korec, SJ, the emeritus bishop of Nitra (Slovak Republic), 87, Bishop Pavel Hnilica ordained the cardinal secretly in a hospital room. The cardinal is an exceedingly interesting man. When I met him in 1997 when he was making a US tour of Slovak communities, his interaction among his hosts was wonderful. He received an honorary Doctorate from Sacred Heart University on that visit to Connecticut. Cardinal Korec’s statistics are fascinating: nearly 61 years a priest, 60 years a bishop and 20 years a cardinal. IOANNI CHRYSOSTOMO S.R.E. Card. KOREC, S.I. Laeti laetum nuntium accepimus quod tu, Venerabilis Frater Noster, sexagesimam propediem anniversariam celebrabis memoriam illius diei semper tibi recolendi, quo Episcopus consecratus es et inter Apostolorum Successores relatus, huius nominationis occulte nactus honorem. Quemadmodum tam felicis nec non praeclari eventus ratio poscit, Nos, commemorantes ministerium sacrum quod diligentissime tot annos peregisti, te actuosum, fidelem ac prudentem Pastorem enixe laudamus praesentiamque spiritualem Nostram hac in festivitate tibi pollicemur. Dum ergo flagrantia vota, quaecumque sunt salutaria, optabilia, fausta adprecantia, imo e pectore promimus, a sanctissimo ac sempiterno Deo tibi supernorum munerum copiam imploramus, quorum auspicium simul atque propensae voluntatis Nostrae pignus esto Apostolica Benedictio, quam tibi amantissime impertimus. Ex Arce Gandulfi, die XV mensis Augusti, in Sollemnitate Assumptionis Beatae Mariae Virginis, Anno MMXI, Pontificatus Nostri septimo. There’s a journalist, intellectual, politician and a cardinal whose sanctity is being studied: Ángel Herrera Oria. 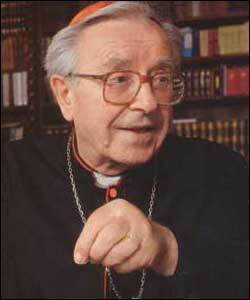 Wiki has this story on the Servant of God, Ángel Cardinal Herrera Oria but there is a biography and it’s in Spanish. 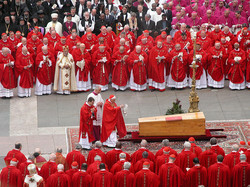 Rome Reports has a video story on the journalist-cardinal here. The Servant of God was born on December 19, 1886, ordained a priest on July 28, 1940 (at 53) and ordained a bishop of Malaga, Spain, on June 30, 1947 (at 60 years). 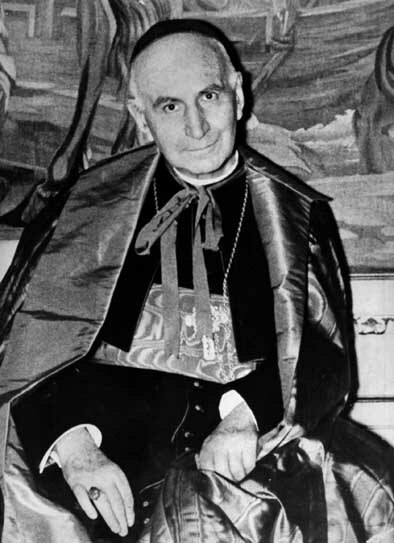 It was the Servant of God Pope Paul VI who created Herrera Oria a cardinal on February 22, 1965. His Eminence died on July 28, 1968, the 28th anniversary of his priestly ordination. Cardinal Ángel Herrera Oria, pray for us. One the well-known faces in the Vatican curia died earlier today. 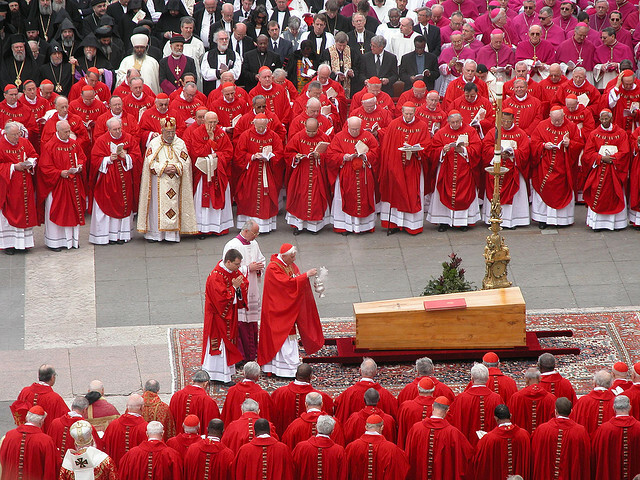 Virgilio Cardinal Noè, 89, died in Rome. Noè has been a cardinal since 1991. He was the Pope’s vicar general for Vatican City State, the President of the Fabric of St Peter’s Basilica and the Archpriest of St Peter’s Basilica. 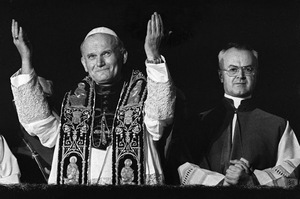 Cardinal Noè’s face was recognizable due to his work as the pontifical Master of Ceremonies, a ministry he held since Pope Paul and one that he had under the Pope John Paul II until 1982. Cadinal Noè is remembered for his faithful service as a priest and adherence to the Gospel.